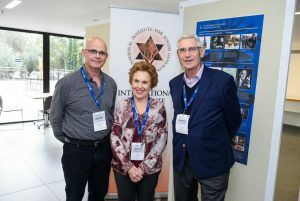 The International Institute for Jewish Genealogy (IIJG) was prominent among the sponsors of an international conference on “Genealogy and the Sciences”, held on December 17-18, 2018 at the Weizmann Institute for Science at Rehovot, Israel. In the realm of genealogy, this was a land-mark event by any standards. Not so many years ago, most historians and social scientists tended to look askance at genealogy. The field, they asserted, was no more than a tool of limited utility to some classical historians. Harsher critics would say that genealogy’s place in the academic universe was roughly akin to that of astrology vis-à-vis astronomy. 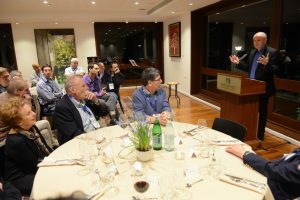 Then, in December 2018, demonstrating how the extraordinary progress of academic genealogy in the last decade and a half, an international conference was held at the prestigious Weizmann Institute on “Genealogy and the Sciences”. A group of over 30 prominent scholars spent two intense days exploring the interface between genealogy and the sciences, both “hard” and “soft”. No-one challenged the assumption that genealogy was a discipline in its own right or questioned whether it has reached a level of maturity that merits attention by other scientific disciplines. These positions were givens. The range of discussion was wide, from medicine, psychology and genetics, through mathematics, statistics and linguistics, to calendars, onomastics and bronze age archaeology The standard of the presentations was extremely high and the framing of the conference by its Chair, Prof. Daniel H. Wagner of the Weizmann Institute (and IIJG), was masterful. Perhaps more than anything else, the interactions and free-flowing exchanges between a diverse group of scientists, all addressing genealogy from different perspectives, were almost breath-taking. IIJG and Jewish genealogy were deeply engaged in the whole event, even though it was not focussed on Jewish genealogy as such. IIJG Chair, Dr. Neville Lamdan, acted as the Conference Co-Chair. A small exhibition on Scottish Jewry that IIJG put up was prominently displayed. More importantly many, if not most, of the papers had a Jewish genealogical aspect or component. In brief, Jewish genealogy was palpably present and, it is fair to say, the field was carried by the conference past a significant milestone on its journey to recognition as a sub-branch of Jewish Studies.